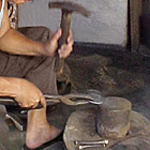 The Karen hill tribe jewelers design an alluring necklace. 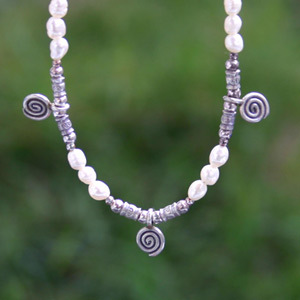 They thread cultured pearls and hill tribe silver beads by hand and attach a sterling silver spring clasp for closing. 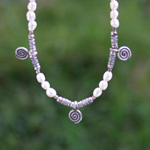 Materials: Sterling silver (.925) and cultured pearls.